Recording a rare rhythmic noise session for Mantis Radio, tonight we present the incredible Orphx. We’ve new music from Dead Fader, Dave Tarrida, Ruins, Oscar Mulero and Kangding Ray. Fresh from unleashing the fantastic session that was Objekt for our 150th show for our 151st, we present a duo with a discography stretching back to the early 90s. Orphx‘s Rich Oddie and Christina Sealey have over the past two decades cemented themselves as amongst the best out there. 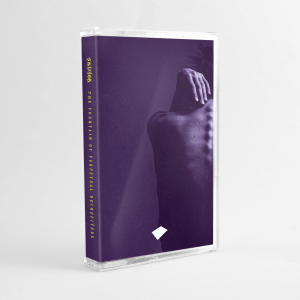 From their early releases on Xcreteria, Malignant Records and Hands Production to Hymen and since 2009 Adam X’s label Sonic Groove, the pair carve their own path. New material continues to be welcomed and salivated over (myself included). A few weeks ago the first EP between Orphx and Ancient Methods saw release on Token Records under the collective name of Eschaton. A follow-up is already planned. Hymen have just released the first of 2 retrospective CD compilations presenting the duo’s early 12″ EP work for Sonic Groove, of whom they have another EP coming up later this year. Listening to their records is one thing, hearing them perform live is another. Their unflinching, razor sharp techno will be making it’s way to tour Europe in May before heading to North America to perform at Detroit’s Movement festival. Their earlier material is intense and experimental, something they haven’t left behind as their productions have evolved over the years into the techno styled sound that it is today. Their roots are of industrial, electro-acoustic and rhythmic noise and that’s where their session tonight will venture. Rhythmic noise was part of a third wave of industrial music that emerged in the 1990s, building on the foundations laid by the pioneering artists of the late 1970s and the more dancefloor oriented acts of the 1980s. Primarily revolving around German labels like Ant Zen, Hands, Hymen, Ad Noiseam and Zhark, and German festivals such as Maschinenfest, Forms of Hands and Elektroanschlag, the rhythmic noise scene flourished in the late 90s and early 00s but remained isolated from other, more popular, electronic music scenes such as techno and drum and bass. It has also received surprisingly little journalistic coverage over the years and is rarely mentioned in accounts of the recent trend towards industrial sounds and themes in techno, despite the fact that many rhythmic noise artists have been exploring this same fusion of noise and techno rhythms since the mid 1990s. This mix brings together some of our favourite rhythmic noise tracks. The mix moves in a rough chronological order from early innovators like Esplendor Geometrico and Dive through the 1990s and up to the present. I’ve focused on artists and tracks that use elements of techno and electro, and put less emphasis on the many other excellent artists in this scene whose work is closer to dark ambient, breakcore and musique concrete.